Please leave a review below here on my site, or leave a review about me at the very bottom on gigsalad.com! Wow! I just had to tell you that Andrea Davis did an amazing job as Ariel. She went way above and beyond and we got so many compliments on her. My daughters and their friends were in heaven and they made memories that will last forever. She didn’t waste a second. As soon as she walked in, she was in character and started dancing with the girls. She kept all of the girls’ attention the whole time and the parents were all enjoying watching their child have a magical experience. I could not be more pleased with how everything went. I will definitely be booking with you all again. I have two girls, so I’m sure we will have many princess parties. I’m spreading the word to all our friends about how wonderful she was. Thank you for sending Andrea. Party Animals and Captain America saved the day! We originally booked Iron Man with some other company and 5 days before the party they cancelled. As you can imagine a last minute Iron man is impossible, but Party Animal's came to the rescue with Captain America. Not only did they agree to do it last minute, but they made a 2 hour trip to our location. Captain America (Jase) was friendly and prompt and my little big boy loved it. He did face paintings and balloon animals and took pictures with all the kids. He stayed and watched my son open presents even showing him what the stones in his new infinity gauntlet meant. At the end of the day my son said it was his favorite party yet! Thank you Jase and Party Animals! My name is Robert. This was our second time hiring Party Animals for our 6 year old' daughter's Birthday party. We requested the same performer that we were so fortunate have gotten the first time, for our 8 yr old son. The first time Michael performed we had hired him as a Power Ranger. This time around we requested SpiderMan per our daughter's request. Both times the costumes look to be well maintained and clean. Michael puts on a fantastically entertaining show for our group of 12 kids. He did a great job of keeping the littles occupied while we were able to manage other party duties. I must say it was difficult to stay away as Michael provided an entertaining experience not only for the children, but we as adults found it very entertaining to watch. Michael is a very funny person - perfect for this job. 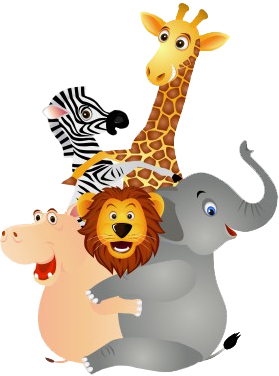 We have friends who've used Party Animals in the past as well, and feedback from them has been equally positive from other performers int he company. 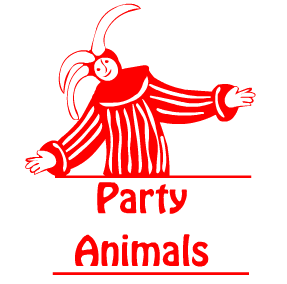 I would highly recommend using Party Animals for your event. The entertainment provided really took these two parties to the next level creating fantastic memories. I have 4 daughters and have booked many princesses in the past from various companies. Moana from Party Animals is by far the best princess we have ever had! I truly thought we had a Disney princess in our home! Party Animals owner, Andy was super easy to work with! He sent me videos and pictures to help me in my decision! I wish I had found Party Animals years ago! They will be my ONLY go to for my next events!!! First of I would like to thank Party Aminals for being a party of my child's 2nd Birthday Party! We had the pleasure of Bubbles coming out and keeping us entertained, she did an EXCELLENT job! She followed up with me a few days before the party and also before her arrival to the party. Despite the minimum rain drops, they clearned the sun came back out and it was party time! The kids really enjoyed themselves! The best party was when she left and came back as our paw patrol character, the kids would not leave her alone! They loved it! Bubbles thanks sooooooooo much for being a party of my sons celebration! Trust I will advise party animals for any of your events! Thanks again! Bubbles was very professional and friendly! She arrived on time ready to party.Her face painting skills were to die for! She accommodated all the kids with face painting even lended a helping hand. I will definitely use part animals for my next event. Our Easter Egg hunt was great. Valerie ( the clown) and Andrew (the bunny) the kids loved them. The clown was a big hit, face painting for all the kids a design of their choice. The bunny extravagant, he took pictures with everyone, and assist the kids with the hunt. Both the clown and the bunny gathered together and perform the bunny hop with the kids and adults. What a time. I can't leave out Mr. Andy he was my 1st contact excellent customer service, he gave me ideas for what we can do @ the party. We're having a Halloween trunk a tree this year I will be definitely calling PARTY ANIMALS. If you're looking for a great host, almost any character call them for your next event. All the kids, teens and adults left with a smile. The party was a massive hit! All the kids (about 35 of them) all got their face painted and got a balloon sword to play with. Awesome time for sure! I am so pleased with the service provided by Party Animals Entertainers. It all began with my initial contact with Andy. His professionalism, charismatic personality and prompt communication was just what we needed to get this party on its way. Then came Valerie or shall I say "Draculara." She arrived on time and was prompt in getting everything set up before the children arrived. From the moment they saw her, it was all smiles, laughs and giggles from there. This is by far one of my favorite companies I've worked with. I'm already adding them to my calendar for April. Book them! You won't be sorry.